Congolese midfielder, Giannelli Imbula has emerged as a transfer target for Chelsea as the club look at possible replacements for John Obi Mikel, according to reports. The Marseille star has impressed with his consistent displays in Ligue 1 this campaign and Chelsea are believed to be high on a list of admirers of the 21-year-old. Blues manager Jose Mourinho is expected to allow Mikel to leave the club at the end of the season, which could pave the way for Imbula's arrival, according to RMC. 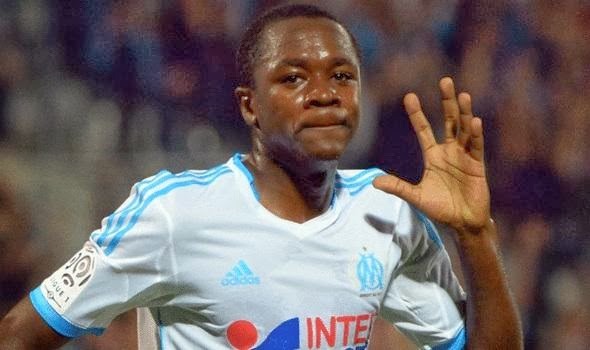 Marseille are reportedly keen to sign a striker in the summer and would be open to selling Imbula if Chelsea can meet their valuation for the player. Mikel has seen his playing time at Chelsea reduce considerably thus season, and has been the subject of several transfer stories.